The success of Friday’s launch was confirmed by Chinese space officials quoted in state media reports and initial orbital tracking shows objects in orbits of 525 x 545 km, 97.55° and 525 x 1,065km, 98.5°. 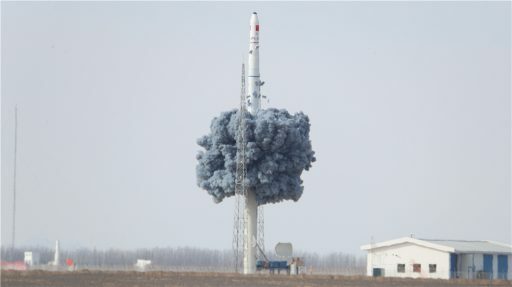 Friday’s launch was China’s fourth orbital space launch in the span of only ten days as the country pushes toward an ambitious goal of 40 launches in 2018 using a variety of launch vehicles, including the heritage fleet of Long March vehicles, the new Long March-5,6,7 series and a new generation of solid-fueled rockets that debuted in recent years and are intended to become contenders on the commercial market via very low Kilogram-to-orbit prices. 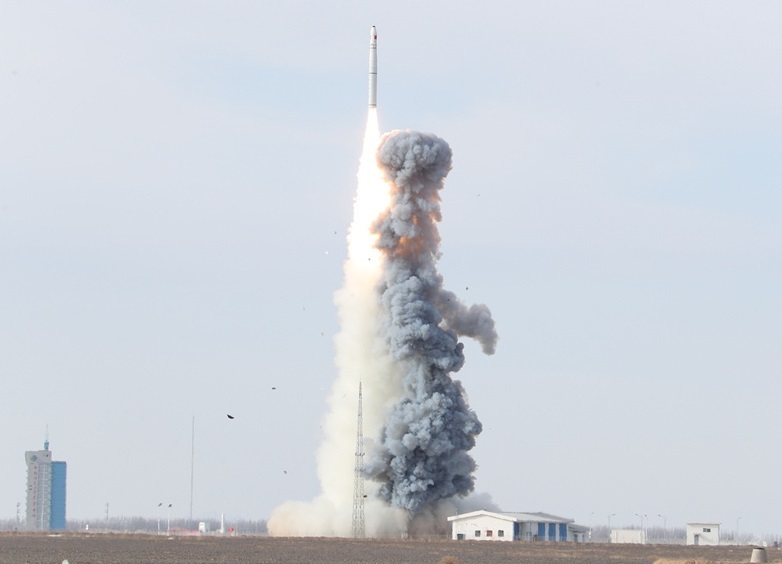 For Long March 11, Friday’s mission marked its third launch after its debut mission in 2015 with four small satellites and a second launch in November 2016 with the XPNAV Pulsar Navigation Satellite and six secondary payloads. Friday’s Long March 11 launch hosted a total of six payloads: the next two Jilin high-resolution video satellites flew as the primary payloads and were joined by the QTT 1, Xiaoxiang 2 and Zhou Enlai Chinese small satellites plus the first satellite of Canadian communications provider Kepler. 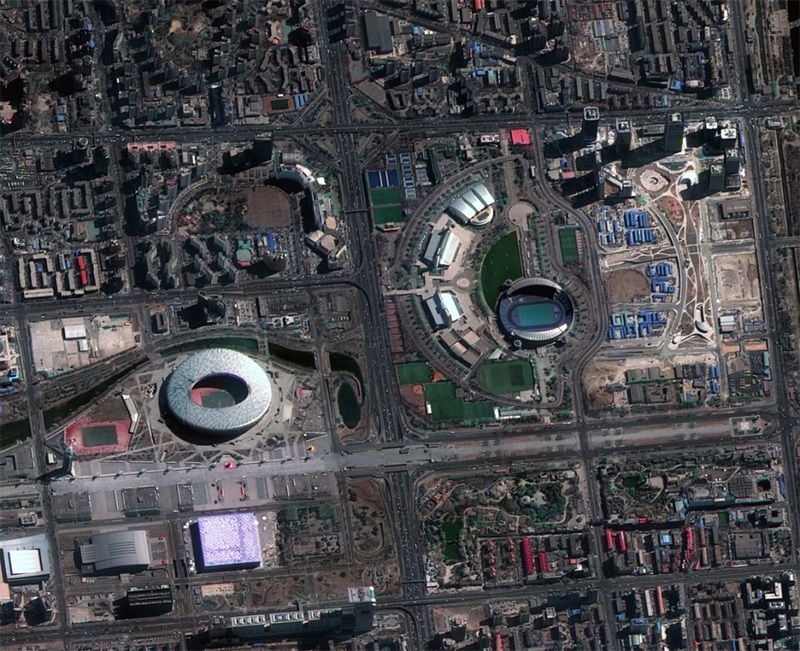 The Jilin 1-07 and 1-08 satellites are joining a growing constellation of high-resolution video satellites to establish a high-revisit imaging architecture to offer competitive Earth observation products on the commercial market. Jilin is a self-developed remote sensing project of Chang Guang Satellite Technology Ltd. with funding from the Jilin province to accelerate a local satellite production capability. 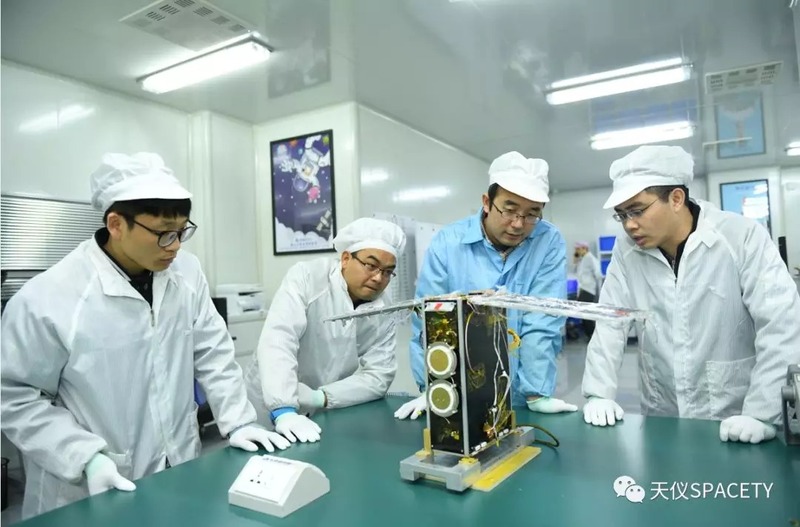 The project is supported by the China Academy of Sciences, the Harbin Institute of Technology and a number of contractors delivering satellite components. It has the overall goal of establishing a powerful Earth observation system by combining different types of instruments including satellites with high-resolution still- and video-imaging capabilities as well as technology demonstration missions studying the use of different wavelength bands for remote-sensing applications. Photo of Beijing’s Olympic Stadium captured by a Jilin-1 satellite – Credit: Chang Guang ST Co. 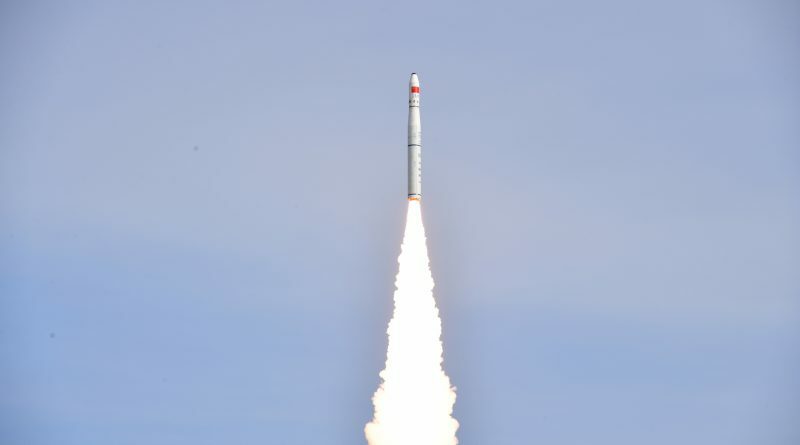 The first four Jilin satellites were launched in October 2015 atop a Long March 2D rocket that deployed the 450-Kilogram Jilin-1A imaging satellite capable of still imaging at a ground resolution of 72 centimeters, the first pair of Jilin video satellites, and the LQSat technology demonstrator. Jilin 1-03 was lifted in January 2017 by the inaugural Kuaizhou-1A mission and the Jilin 1-04, 1-05 and 1-06 satellites launched as a trio atop the second Long March 6 flight in November. 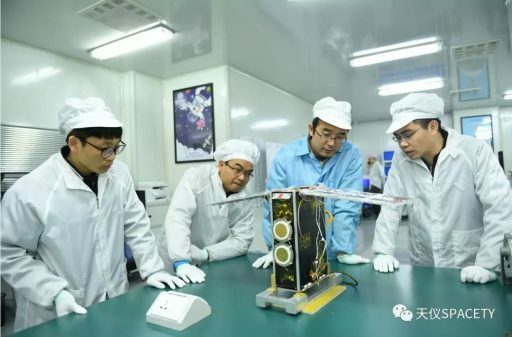 The Jilin-1 video constellation satellites each weigh around 95 Kilograms (1st generation) / 208 Kilograms (2nd generation) and measure 1.2 by 1.1 meters in size, hosting a camera system capable of achieving a ground resolution of 1.13 meters, covering a frame of 4.3 by 2.4 Kilometers. 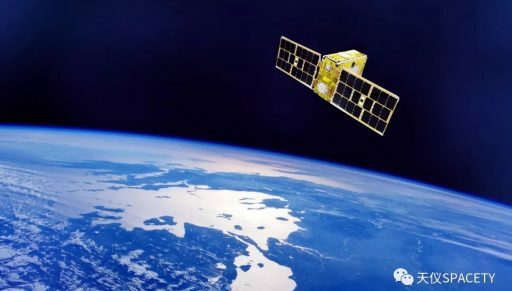 Imagery from the Jilin-1 constellation is offered on the commercial market and is hoped to find application in a number of areas such as forecasting and mitigation of natural disasters, resource exploration and various monitoring tasks. 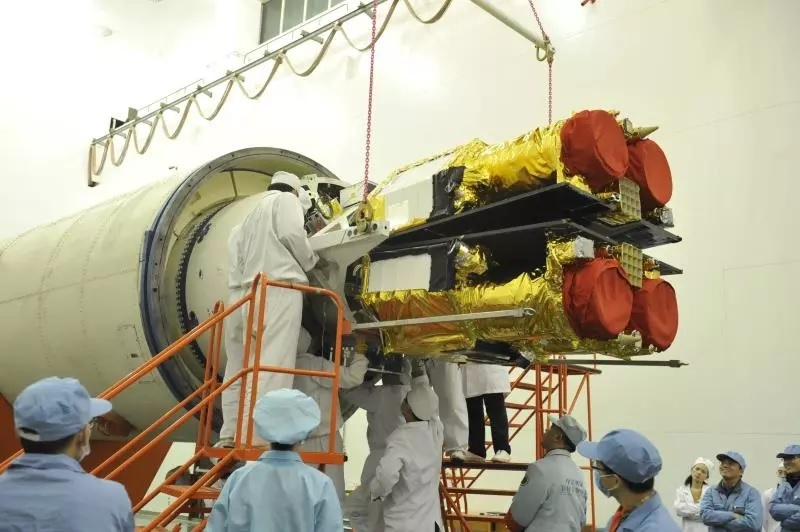 With eight video satellites in orbit, Jilin-1 is halfway to its initial goal of a 16-satellite constellation to support a revisit time of four hours for any given target on the ground. Expansion to sixteen constellation members is hoped to be complete by 2019 when the project will head into its second ambitious phase to push to a sixty-satellite constellation for global refresh rate of 30 minutes and the ultimate goal for the 2030 time frame will be a 138-satellite system with a revisit rate of ten minutes. Riding shotgun alongside the Jilin twins were a number of small satellites. 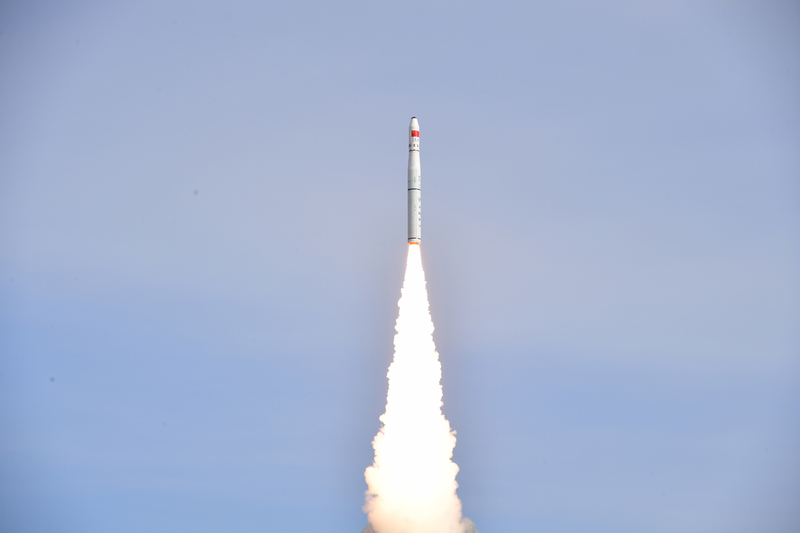 Spacety is also involved with another payload riding on the CZ-11 flight, again in cooperation with the Tianyi Research Institute. QTT-1, Quantutong 1, is a 6U CubeSat based on a Spacety platform and hosting a customized payload from Tianyi for the demonstration of a future constellation concept for an integrated navigation and communications system operated by Full-chart Location Network Co., Ltd. 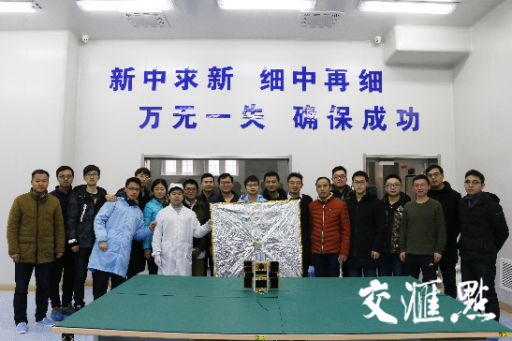 The third Chinese Satellite on this mission is Zhou Enlai, an educational 2U CubeSat mission by the Huaian Youth Comprehensive Development Base, Jangsu Province. The project was primarily developed by primary and middle school students and the 2.4-Kilogram satellite hosts an optical imaging payload to collect imagery of Earth from its orbital vantage point and a 1.2m² drag sail for accelerated orbital decay when its mission is complete. The single foreign payload on Friday’s launch was the first satellite of Kepler Communications, KIPP 1, to build the foundation of a CubeSat communications constellation supporting the Internet of Things, machine-to-machine communications and inter-satellite communication services. Kepler sees satellite communications as essential in supporting the Internet of Things, comprising millions of devices that need to be connected to their operator via low-latency, low-cost communications paths – making this problem ideally suited for a constellation of small, cost-effective satellites. Kepler’s planned constellation could be applied for intelligent shipping, i.e. tracking millions of parcels of all sizes to reduce delivery times and improve efficiency; smart agriculture to improve crop yields needed to support a growing population; intelligent traffic management & infrastructure monitoring to improve safety; and a large number of other areas in various industrial sectors. The company’s primary goal is providing a vast backhaul capability for IoT customers through a constellation of CubeSats deployed to polar orbits. Initially, the company plans to launch a pair of technology validation satellites built by Clyde Space hosting software defined radios and Ku-Band high-rate communications systems. 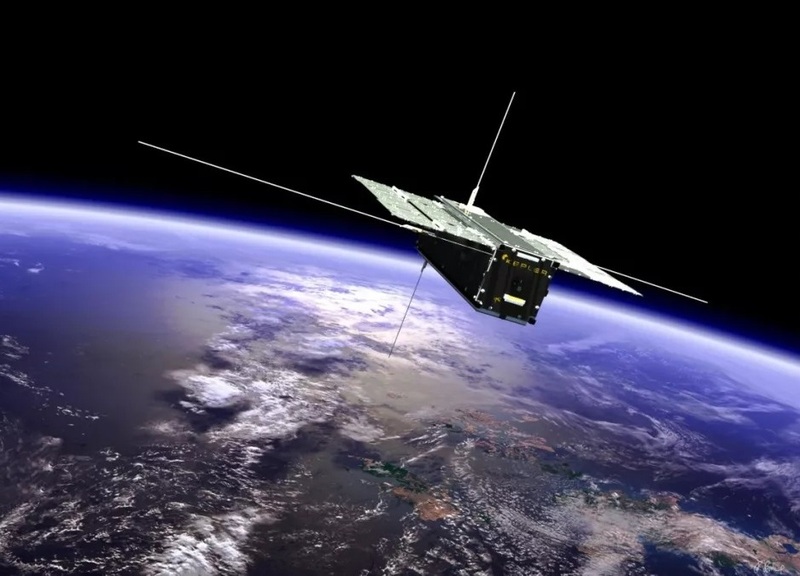 This will lead to an upgrade to the initial operational constellation of 10 to 15 satellites, each tasked with picking up communications packets from remote IoT devices and pumping collected packets to a web-connected ground gateway at high downlink data rates to make the data available to the respective operators. The ultimate goal would be a 120-satellite, multi-plane constellation to enable near real-time data backhaul from all stretches of the planet.